Despite its essential role in ovulation, oxidative stress (OS) has been found to be cytotoxic to cells, while microRNAs (miRNAs) are known as a major regulator of genes involved in cellular defense against cytotoxicity. However, a functional link between OS and miRNA expression changes in granulosa cells (GCs) remains to be investigated. Here, we investigate the OS modulation of apoptosis-associated miRNAs and their biological relevance in bovine GCs. Following the evaluation of cell viability, accumulation of reactive oxygen species (ROS), cytotoxicity and mitochondrial activity, we used a ready-to-use miRNA PCR array to identify differentially regulated miRNAs. 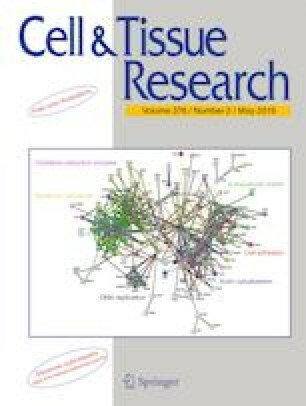 The results showed that exposure to 150 μM H2O2 for 4 h creates remarkable signs of OS in GCs characterized by more than 50% loss of cell viability, higher nuclear factor erythroid 2–related factor 2 (NRF2) nuclear translocation, significantly (p < 0.05) higher abundance of antioxidant genes, significantly (p < 0.001) higher accumulation of ROS, lower mitochondrial activity and a higher (p < 0.001) number of apoptotic nuclei compared to that of the control group. miRNA expression analysis revealed that a total of 69 miRNAs were differentially regulated in which 47 and 22 miRNAs were up- and downregulated, respectively, in stressed GCs. By applying the 2-fold and p < 0.05 criteria, we found 16 miRNAs were upregulated and 10 miRNAs were downregulated. Target prediction revealed that up- and downregulated miRNAs potentially targeted a total of 6210 and 3575 genes, respectively. Pathway analysis showed that upregulated miRNAs are targeting the genes involved mostly in cell survival, intracellular communication and homeostasis, cellular migration and growth control and disease pathways. Our results showed that OS modulates the expression of apoptosis-associated miRNAs that might have effects on cellular or molecular damages. The online version of this article ( https://doi.org/10.1007/s00441-019-02990-3) contains supplementary material, which is available to authorized users. The authors are indebted to Res. Asst. Mahmut Kaliber; Sebahattin Koknur, DVM; and Ali Ergin, DVM, for their assistance during sample collection. This research was supported by the Erciyes University Scientific Research Projects Coordination Unit, Project No: FOA-2015-5655.